Here are a few daily practices to encourage spiritual growth and development. body. A study conducted by the National Public Radio (NPR) found that nearly half (49%) of U.S. adults surveyed said that had experienced at least one major stressful event in the past year. 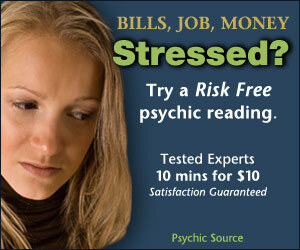 Whether it’s financial hardship, relationship problems, illness, etc., stressful events are going to occur. Rather than allowing them to define who you are, however, you should embrace them as being part of your life. Once you’ve learned how to control your feelings when faced with stressful events, you’ll have an easier time growing and developing spiritually. There are 7 billion of us whom share this hunk of rock called Earth, so why not help those in need? Regardless of your religion, your Creator would almost certainly want you to help others. Instead of sitting around the house and watching TV during the afternoon, try volunteering at a homeless shelter or charity organization. Doing so will give a warm and fuzzy feeling inside, while subsequently allowing you to become more in tune with your spirituality. Here’s a link that will help you find a charity in your area or by your interests. Arguably, one of the easiest and most effective ways to encourage spiritual growth is meditation. Cultures from throughout the world have engaged in this practice for centuries, and it remains a popular technique even to this day. Meditation involves blocking out the physical world in your surroundings and opening up your consciousness, at which point you can discover new things about yourself. Some people assume that meditation requires professional practice, but this couldn’t be further from the truth. Find a quiet spot, close your eyes, and perform slow, deep breaths while focusing on your body’s internal energy. Every month here at Free Tarot we post a video that has a guided meditation. Some of them are as short as five minutes. Your state of mind will have a direct impact on your ability to grow spiritually. If you constantly focus on the negative aspects of your life, you won’t be able to develop yourself spiritually. On the other hand, if you focus on the good/positive elements, you will have an easier time achieving your spiritual growth goals and objectives. Self-confidence isn’t something that comes natural, however. It requires practice and dedication. When you first wake up in the morning, look in the mirror and say one new thing that you like about yourself. Continue doing this, and after a week or so, you should have greater self-confidence, which in turn will allow you to grow and develop spiritually.